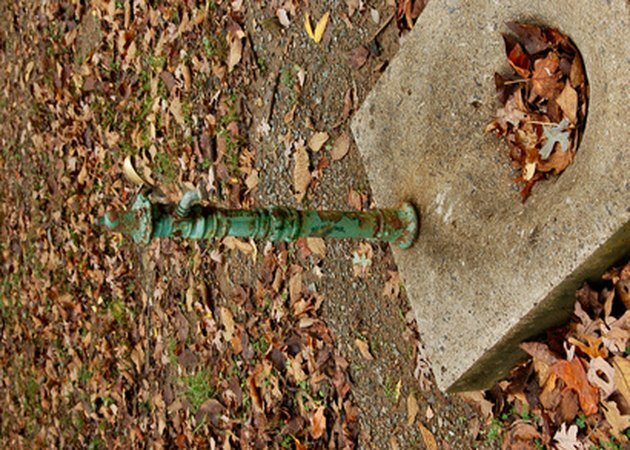 Often, well pumps are in the middle of a yard and a safety hazard for active children or lawnmowers. Other times, they are an eyesore, standing out in an otherwise aesthetically pleasing landscape. Covering a well pump can be inexpensive and easy. Site-specific considerations include surrounding obstructions, pump height and climate. There are creative ways to hide unsightly well pumps. Artificial rocks offer perhaps the simplest way to cover a well pump. With a wide variety of styles available, one of these styles will likely meet your specific needs and taste. Made from lightweight, durable plastic, artificial rocks can look surprisingly real when integrated into the surrounding landscape. Prices vary based upon size. Planting dense shrubs tall enough to keep the pump out of sight is a good long-term solution, depending upon the type of shrubbery and your particular climate. Chose evergreen species if you want year-round coverage. Consult your local landscape retailer or county agricultural extension for recommendations on shrubs appropriate for your region. If you have the ability, consider constructing a removable cover from wood. Covers such as the North Carolina Outhouse (see References) hide pumps with cleverly designed miniature outhouses for a unique addition to your landscape. Be sure that whatever you build is lightweight enough to be removable in case you need to access your pump for repairs or maintenance.